Getty Images has announced a new grant offered in collaboration with Instagram. There are a total of three grants available, each for $10,000 USD, and will be awarded to photographers using Instagram to document underrepresented communities. Recipients will also be given a mentorship opportunity with Getty Images’ photographers. The trio of grants will lend financial support to photographers using Instagram to share their projects and tell visual stories. To be considered for the grant, interested Instagram users must submit an application on Getty's website. Judges will evaluate applicants' existing Instagram photography, with the quality, projects/stories, and visual storytelling all being taken into consideration. In addition to submitting Instagram photos, applicants must also provide a bio, their plans for the funds, and details on their approach to using Instagram. Submissions are open from May 7 to June 4, 2015 at 11:59PM London Time. The winners will be announced this upcoming September. 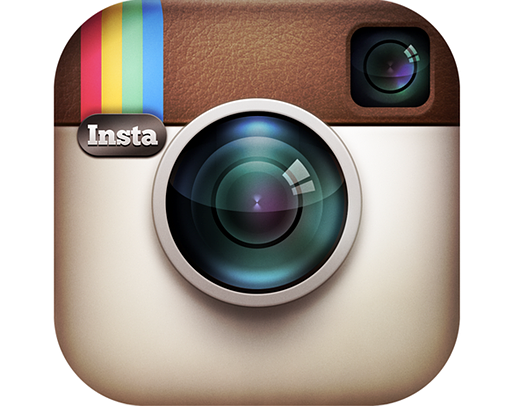 Instagram should be just a bunch of happy above the line images. Getty has missed the boat. Mentoring does not help minority photographers, Getty should be offering jobs. Anything less isolates and takes away their dreams. The dollar sign is too low for the invaluable information. Nothing to loose, ill join this :) my comments will be on my entry. Ill notify you guys if I win. More social engineering nonsense and a way to try to dump some unwarranted guilt on others. What is an "underrepresented community?" Anyone who's not a straight white male ages 18-68. This isn't even a joke, I had lawyer friend tell me that's the definition they use for jury selection. From what I can tell this Instagram is basically a site where you can dump your photos, and it only works with iPhone and Android phones. Is that about right? ... or am I missing something? If you're serious, and only now finding out about "this Instagram," then yes, I suspect you are missing something. Oh. I'm very serious. And I don't shoot photos with my phone either. And I still don't know why serious photographers would use this site at all. "Important notes: There is no fee to apply to the Getty Images Instagram Grant and applicants retain all copyrights to their imagery submitted for the judges' review. " "Intellectual Property: No materials and ideas contained within the application will be used by Getty Images, or grant judges for any purpose other than the grant review and selection process and for publicity (as outlined below)." "Publicity: Each grant applicant allows Getty Images the right to use his or her name, likeness and biographical information, as well as the right to select and use portfolio images in connection with any and all Getty Images and Instagram promotions and publicity, including the website and exhibitions of the Getty Images Instagram Grant program. "as well as the right to select and use portfolio images in connection with any and all Getty Images and Instagram promotions and publicity"
My cactuses and succulents are an underrepresented community. I'm going to apply. Another contest to make people send their best images, that will become Instagram's property for future uses. actually - the owner would probably be Getty Images in this case.. It is vague because it hides it's true meaning. It really means that the middle class working folks, who presumably are fully represented, don't pay enough taxes for the "Underrepresented community" to have a new car, cable TV, a nice house and all the other stuff. So someone has to go take photos there so those with more money will feel sorry enough to vote to raise taxes on those who are still working so the money can be given to those "Underrepresented community" people so they can feel good about themselves. @djm99 - these terms and conditions are nothing more than the proof that our legal system hasn't caught up with our digital reality. fb and all other have to put this wording in there, because they are in physical possesion of your images. copyright remains with you in all cases - APART from competiitons, where the rules usually state that you give the organizer COPYRIGHT to your pictures. There's a big difference between that and letting FB/Instagram backup your pictures to keep the service online. I don't get how is it vague. Underrepresented community seems kinda vague...is that on purpose? The Getty page linked to says "emerging voices, outside the mainstream media" if that helps. It probably wouldn't help for them to be more specific. If they said "underrepresented female photographers" you'd get 500 DPReview posts saying "That's discriminatory, what about underrepresented male photographers?" Probably best that they said it the way they did. "Underrepresented community" means any group or individuals who don't currently get much of a voice in mainstream media. graybalanced, It's not referring to the photographer, but who they choose to photograph. We must be fair and impartial to all. From the park benches to Park West, they all must be "represented."